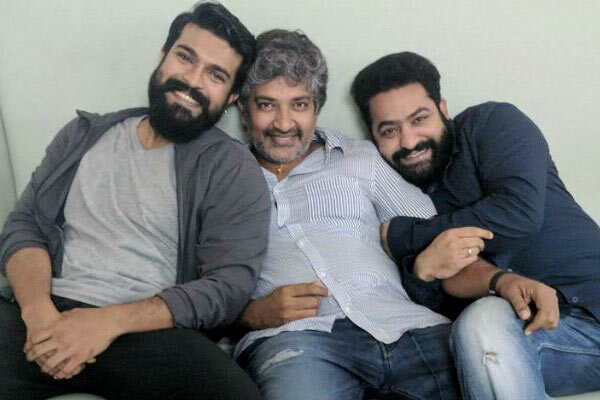 Ace director SS Rajamouli's multi starrer Rrr with Mega Power Star Ram Charan and Young Tiger NTR is most discussed not only among fans but also among movie lovers across the country. The film already completed its first schedule and second schedule began from yesterday. Currently, the production unit is canning high voltage and intense scenes on Ram Charan and NTR in the backdrop of extravagant sets erected in Hyderabad. This must delight fans but surprisingly it is coming out that they are extremely disappointed. The reason behind their disappointment is Rajamouli did not announce the film’s title and also heroines to romance NTR and Ram Charan as predicted by gossipmongers. Earlier, reports suggested that, Rajamouli would make announcement on title during Sankranthi. But nothing of that sort happened leaving fans extremely disappointed.